When Color Implosion left our world in search for a better place we all felt loss and sorrow. 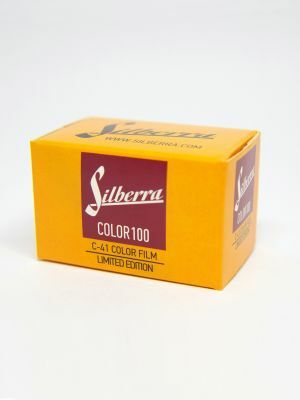 We hope Silberra COLOR 100 will fill in that sucking gap in your soul for a while, though that's NOT the same film as Color Implosion. We have 2000 rolls of that film for you, ain't a big lot. That's why that's just for a while. That's not the emulsion we did coat. We've just managed to get our hands upon the batch of color film which ain't exists anywhere in film photography at the moment. We did all the tests, examined the results and felt sure that the world shall become better place when we make that film available at 35mm format. That's not cine film, there are no tricky things about it: that's just common C-41 photo film. Silberra COLOR100 Limited Edition has moderate grain, high resolution, enhanced sensitivity to green and red colors and gives you quite mild contrast with good details level. Have fun shooting it!